Woohoo finally I write another year in review and this one is my throwback for 2016, an exciting year. Why? 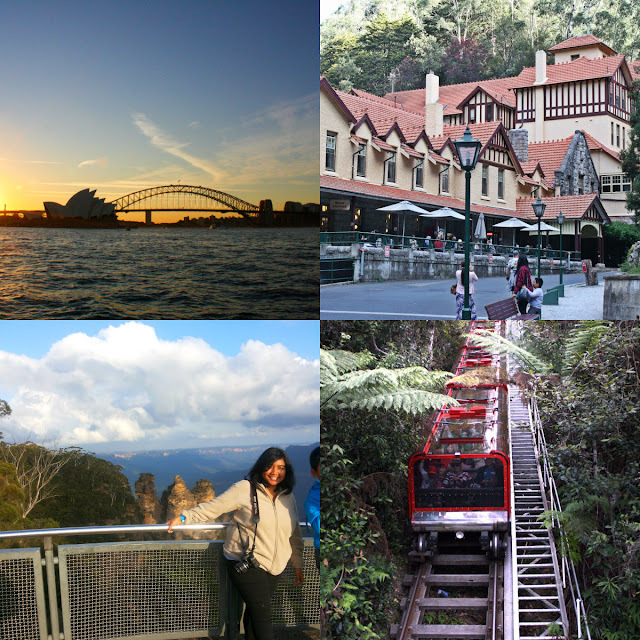 because I spent my 11 out of 12 months lived in Sydney with so many great, happy, sad and scare things. It was my first time living in abroad for more than 2 weeks *put a BIG smile on my face. 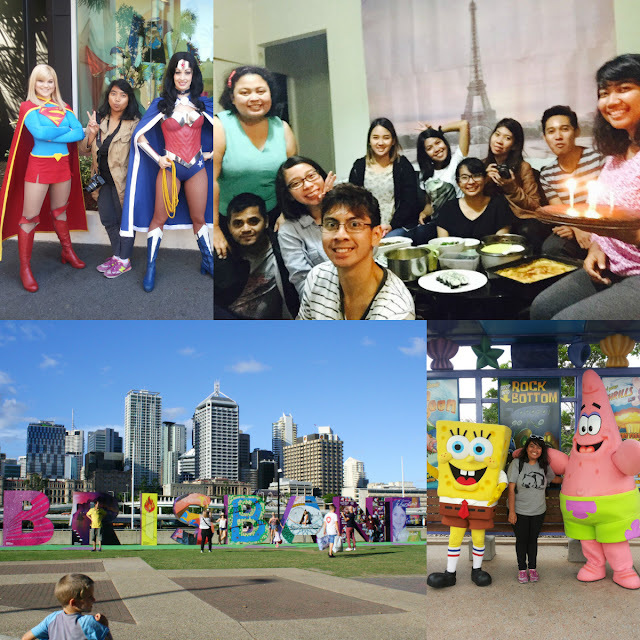 I met a new friends, tried so many casual jobs, traveled across Australia and there were so many exciting things on those 11 months. 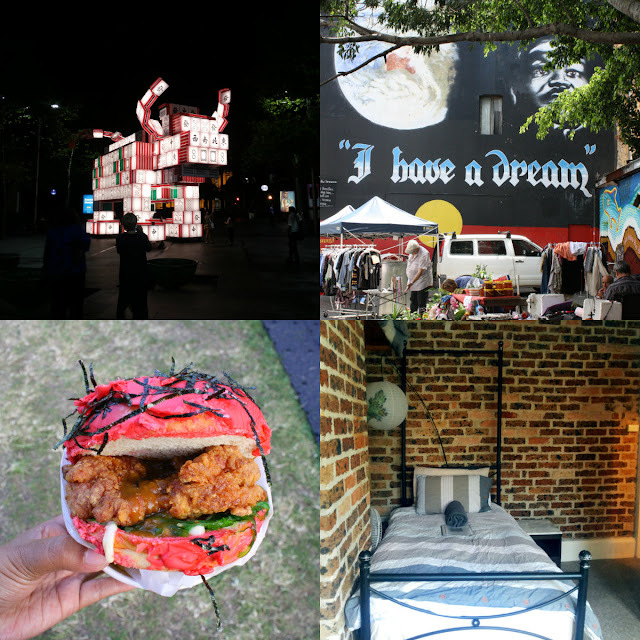 I went to Chinese new year market in Pyrmont bay, hunted for shio lantern festival around the city and visited Newtown for the first time. My first domestic flight experience in Australia happened on March. 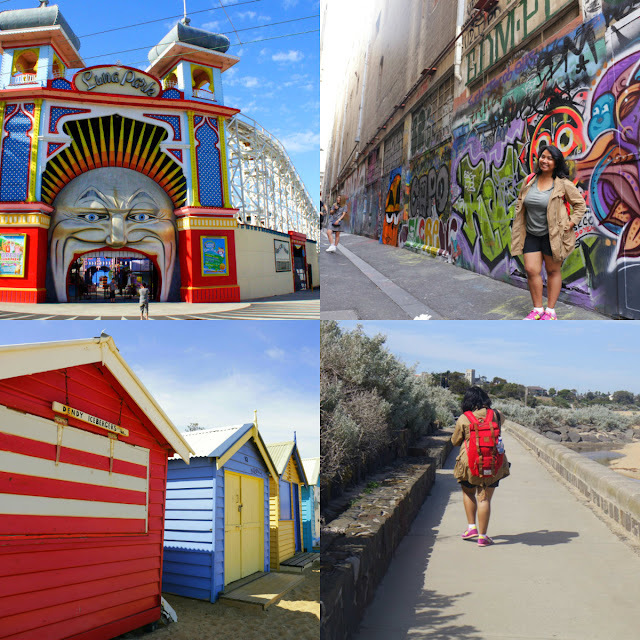 I traveled to Melbourne to visit my friend who on business trip. Strolled around the city during her free time. 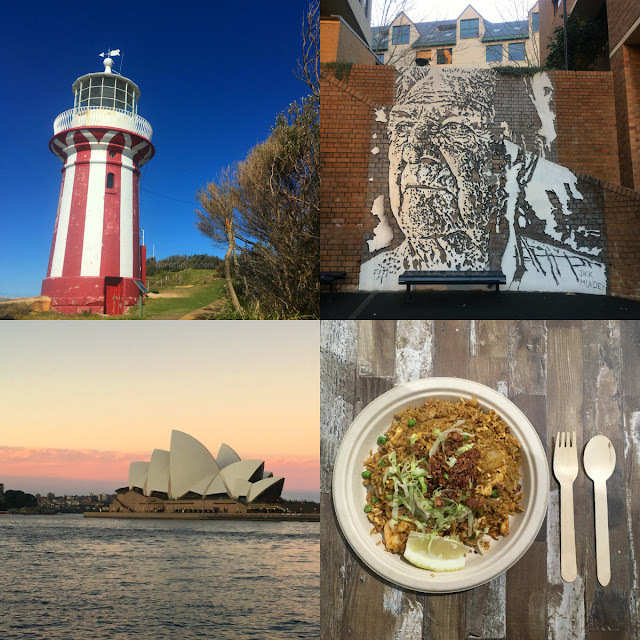 On another week, I traveled to Kiama to see Kiama's blow hole (3 hours by train to southern Sydney), almost fainted when hiking to Barrenjoey head to see Barrenjoey light house in Palm beach and had sunset picnic on Barangaroo reserve. Had weekend getaway to Jenolan caves & Blue mountain and stayed in hotel on Leura. I survived Chifley cave in Jenolan caves and we were almost hit a Kangaroo who cross the street. It kind of sad whenever I realized there wasn't a good theme park in Sydney, so I traveled to Gold Coast, Queensland to get theme park escape. I visited Movie world and met some super heroes and Scooby doo and also visited Bikini bottom in Sea world Gold coast. Finally I can sleep well after met my long-lost-friends, Spongebob and Patrick. Last but not least, had my birthday celebration with my dear friends, kiss kiss. 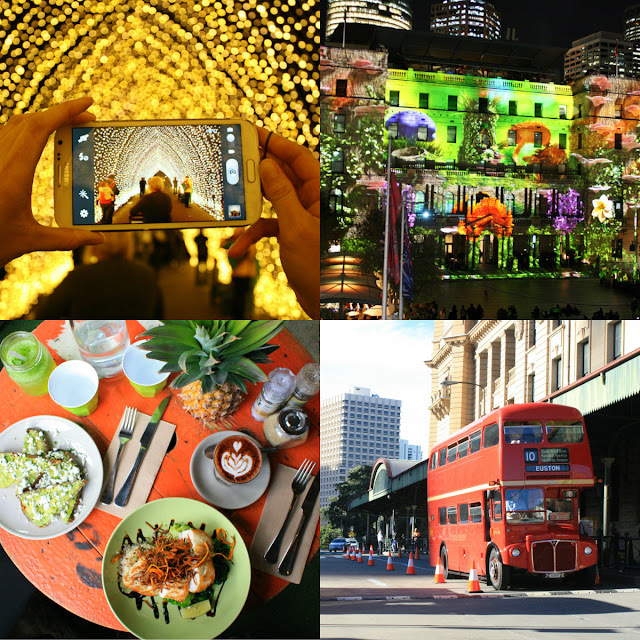 I think June is another festive month in Sydney beside December, because there will be Sydney Vivid during this period. All of those famous buildings on Circular quay will covered by animated light and some of light show. 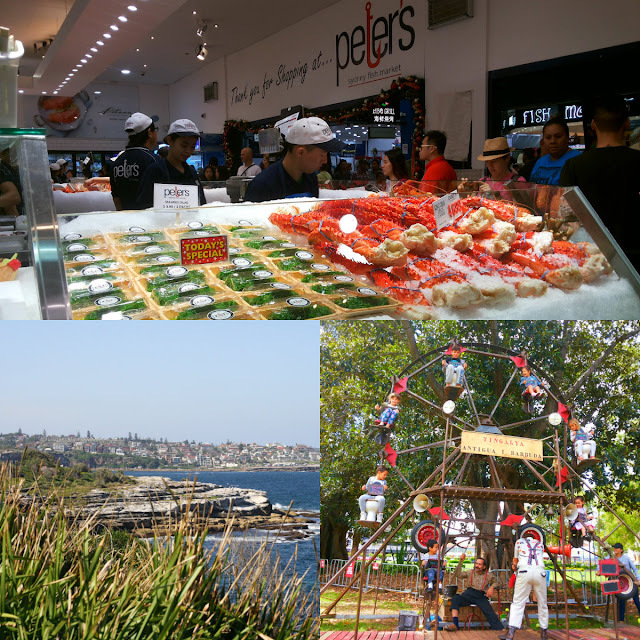 On this month, there was an event to celebrate a new re-opening of transportation museum in Sydney by having some double decker buses which actually museum's collection on the street. 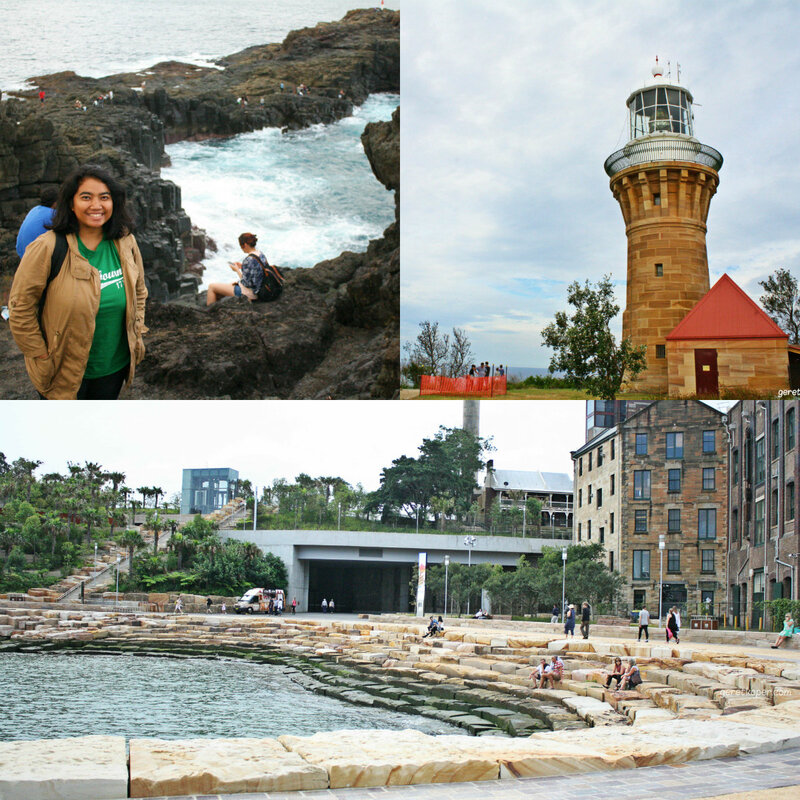 On this month I just spent my day off to explore The Rocks in Sydney and rode a ferry to reach Watsons bay and took a walk to Hornby lighthouse. 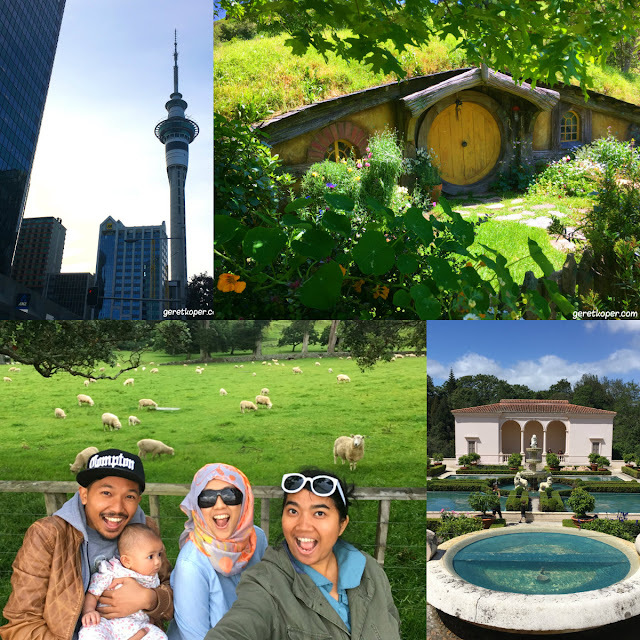 Whenever I got my day off, I always try to explore the city and surrounding for weekday getaway and cafe hopping (I always have day off on weekdays) but on last August I decided to go farther. 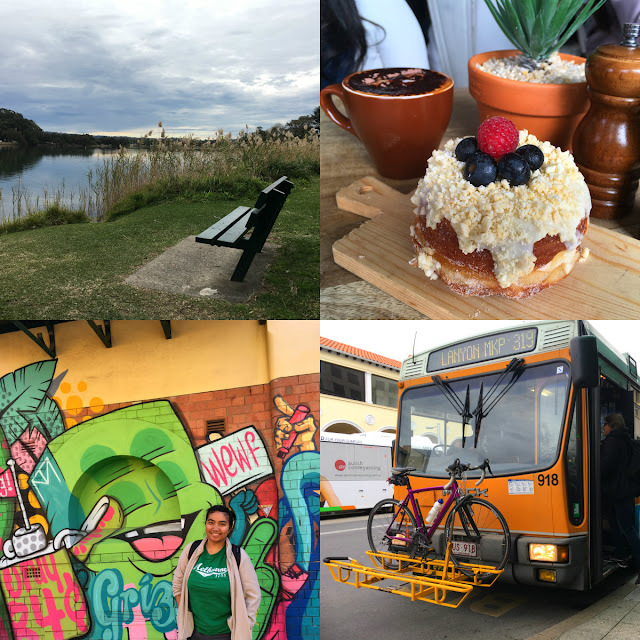 I visited my friend in Newcastle which allowed me to travel 2,5 - 3 hours by train and also visited my friend in Canberra which took me around 4 hours by bus. 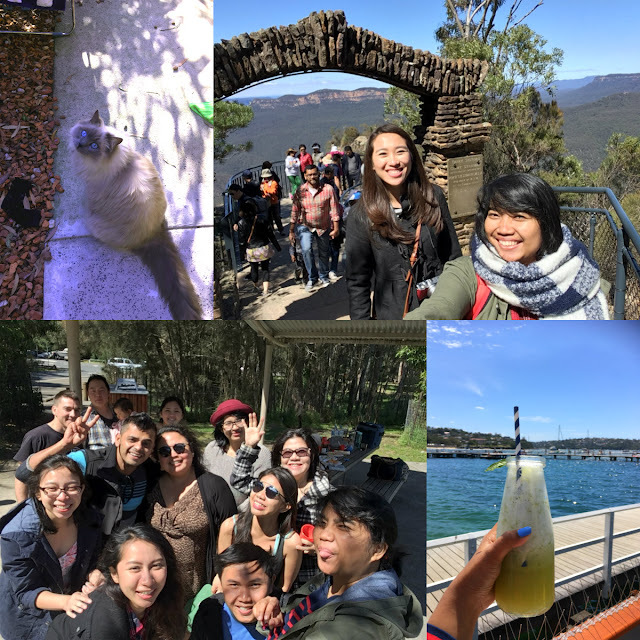 I think nobody could stop my passion to travel, although I only have 3 days of day off, I was still insist to go to Hobart for weekend getaway. Not much to do, since it was still cold (well I think Hobart will always cold anyway ahhaha) and I got my period during my trip, so I was not feeling really well. 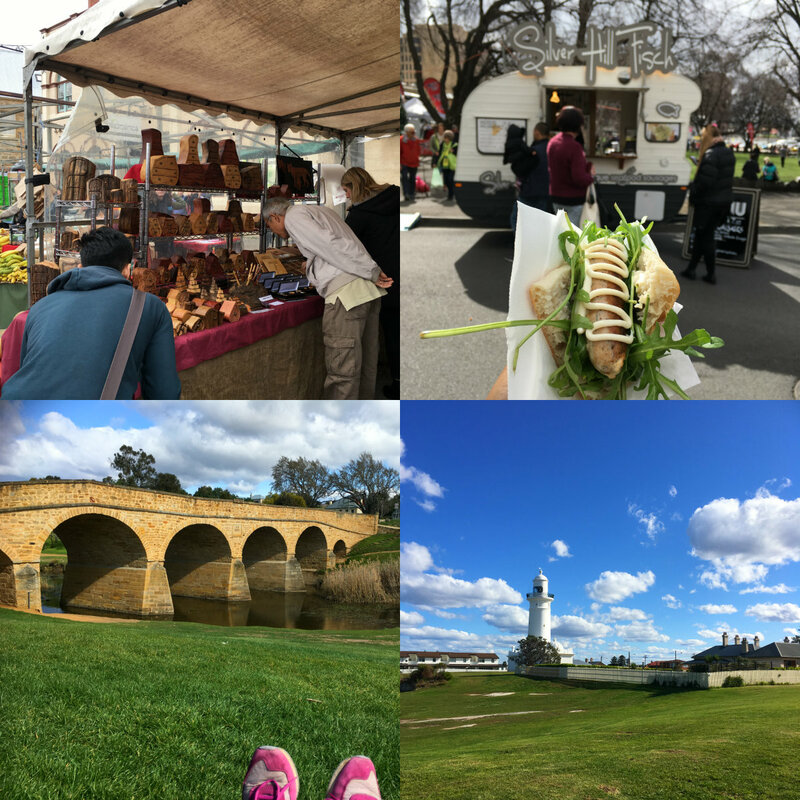 However I still managed to visit Salamanca weekend market and go to Richmond, yay. I must say October was on of my unforgettable month of all, my college friend came to visit during her business trip and became a pet sitter. I never knew that I can earn some money by becoming a pet sitter, it was not only 1 or 2 pet, but 7 pets in total (3 cats and 4 dogs) for those who knew me earlier they must be known me as a person who really afraid of dogs. Hahahhah but here in Sydney, I can get along with dogs, they were so nice and playful, THANK YOU Juby, Marley and Molly for becoming the nicest dogs. I need to end my journey i Australia on this month, before going back I decided to go to Auckland, New Zealand for my travel resolution 1 year 1 country :D. Thanks God I got NZ visa on time. It was a great trip even though I have to cancel my trip to South Island. 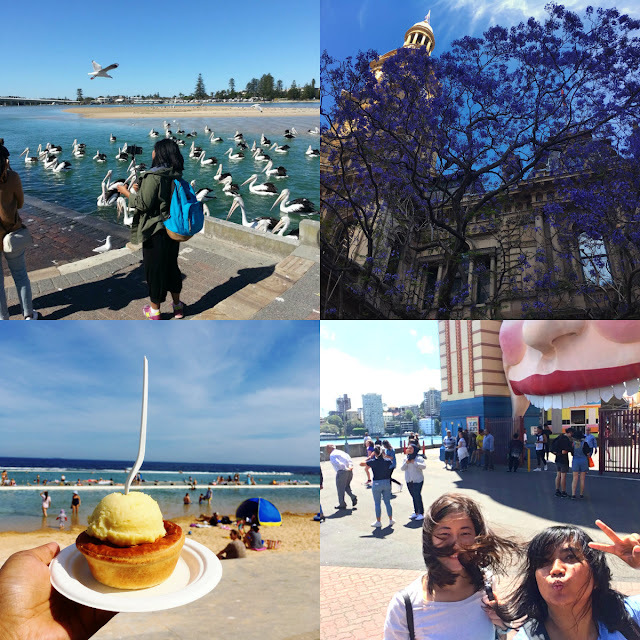 During the first week of November I decided to go to The Entrance to see Pelican feeding show and strolled around CBD to become Jacaranda tree hunter. 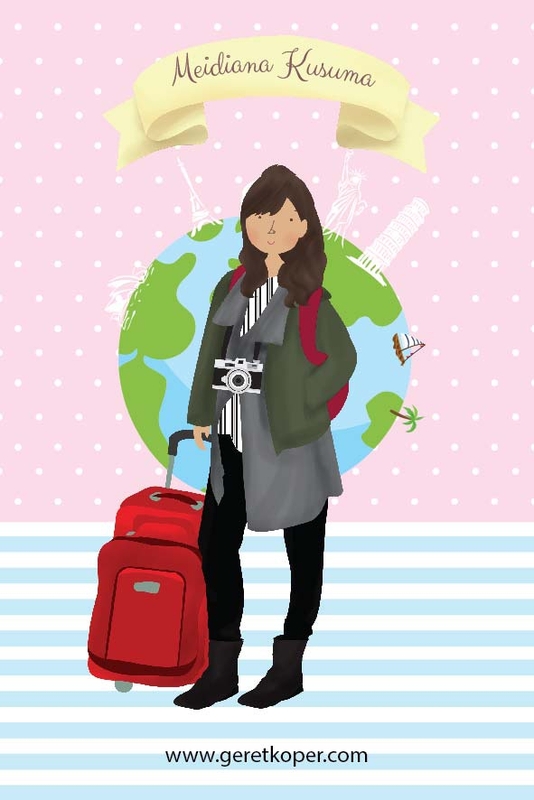 On December I traveled back to Jakarta, spent my first two weeks at home, sick and stayed at home on another days counting my blessing (and arrange something for another trip, pssssstt hahahah). Thank you 2016 for being a wonderful year, Hey 2017, I am so ready for another great journey and experience.